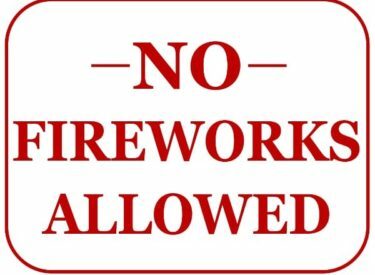 We would like to remind the public that fireworks are not allowed in Seward County outside the city limits of Liberal and Kismet. Please be #firewise as the temperature rises and wind blows the vegatation in the rural areas dries out increasing the risk of wildfires. Many areas of Liberal and Kismet border dry vegatation, so please be cautious when using fireworks in the city limits. As with many fire departments across the nation that rely heavily on paid call firefighters, our numbers are lower during holidays and that can impact our response to an emergency incident.